Today we bring a list of latest jQuery plugins released in June 2013. These plugins are fresh, interesting, simple and lightweight. You may find them useful for your next project!!! Smint is a simple jQuery plugin that helps with the navigation on one page style websites. It has 2 main elements, a sticky navigation bar that stays at the top of the page while you scroll down and menu buttons that automatically scroll the page to the section you clicked on. This plugin for jQuery will arrange your images to fit exactly within a container. 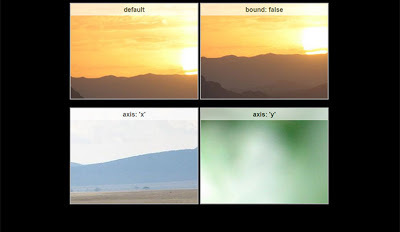 You can define the padding between images, give the images css borders and define a target row height. Yet another jQuery tour/walkthrough plugin! Jumble is a jQuery plugin that jumbles up the colours of your text - and can animate them. 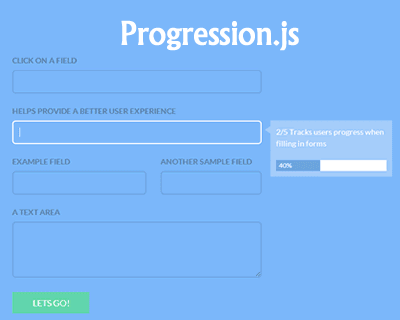 Progression.js is a jQuery plugin that gives users real time hints & progress updates as they complete forms. Hide/Show Password plugin lets you easily hide and reveal the contents of a password input field. It's based on a mobile design pattern. A jQuery plugin to make background images draggable.